President Cyril Ramaphosa hosted president Xi Jinping of the People's Republic of China. Some of China's $14 billion investment commitment to the South African economy will go towards the science and technology sector. Yesterday, ahead of the 10th BRICS Summit, president Cyril Ramaphosa held bilateral talks with president Xi Jinping of the People's Republic of China during his state visit to SA. South Africa is playing host to the annual summit of the BRICS member states taking place at the Sandton Convention Centre from 25 to 27 July. This year's gathering is held under the theme: "BRICS in Africa: Collaboration for Inclusive Growth and Shared Prosperity in the 4th Industrial Revolution." 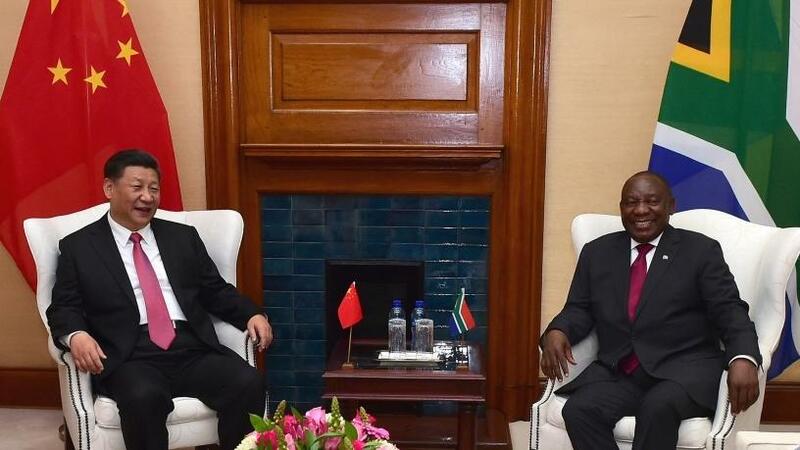 Remarking on the talks held with his Chinese counterpart, Ramaphosa said the South African government signed several agreements and memorandums of understanding with China to further deepen relations between the nations. China also committed to an investment to the value of $14.7 billion, he indicated. "President Xi Jinping has indicated that China is ready to invest and work with South Africa in various sectors, such as infrastructure development, ocean economy, green economy, science and technology, agriculture, environment and finance." Yesterday, presidents Ramaphosa and Xi also participated in a science, technology and innovation dialogue hosted by the Council for Scientific and Industrial Research in the City of Tshwane as part of the state visit. Ramaphosa told delegates that SA and China both share the belief that science, technology and innovation can be leveraged for effective growth and development. He explained: "Science, technology and innovation should be seen as an integral part of South Africa's National Development Plan (NDP), both as a means to bolster economic growth and competitiveness, as well as to advance social development. "Fostering a vibrant knowledge-economy and a culture of entrepreneurship is at the heart of our government's developmental agenda. Our efforts are focused on developing and supporting a dynamic system of innovation by strengthening relations between public research and technology organisations, universities, industry, as well as civil society. These efforts include developing SA's human capital, addressing demographic imbalances and increasing research output." The democratic South Africa has much to be proud of in the domain of science and technology, Ramaphosa added. Unveiled in 2012, the NDP is a government roadmap for how the country aims to eliminate poverty, reduce inequality and grow an inclusive economy by the year 2030. It aims to raise resources needed to support social and economic transformation in the country. Ramaphosa pointed out that collaboration in science, technology and innovation is crucial. No one nation can hope to excel on its own, he said. "Nations need to work with each other to achieve great success. We are very happy to be witnessing the cooperation between China and South Africa in a number of scientific and innovative projects. "It is an imperative for all nations seeking to progress in science, technology and innovation to seek to forge international cooperation with many other countries and players." He continued to say SA is determined to respond effectively to the fourth industrial revolution. "The danger is that an inappropriate response would reinforce South Africa's dependence on primary resources and on imported technologies. South Africa already has some of the components that are necessary to play a role, especially in its universities and various innovative companies. Focused investment in well-funded programmes is essential for success. "The development of skill and expertise underpins all preparation for the participation in the fourth industrial revolution," Ramaphosa concluded.